Humans have been writing sounds as coherent symbols for over 5500 years, which is a long time to be sure, but as a race it has been suggested we have been around for over 150,000 years; so what did we do with all that? Before a written language was devised the only way to leave messages of warning or preserving stories would have been to create a series of pictures that could be simply drawn and easily deciphered, basically drawing would have been the predominant form of documentation. Evidence suggests that the human race has been using drawings to detail events, religious ceremonies, animals, people, etc. 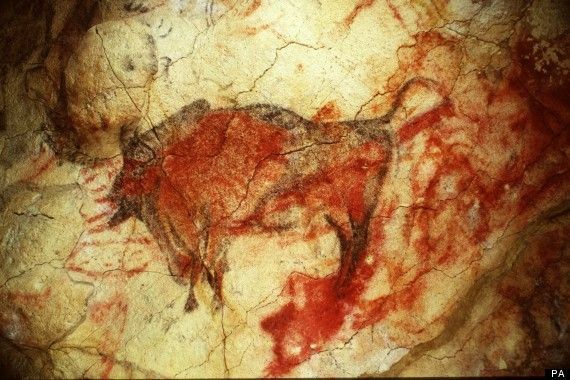 from as far back as 38,800BC, when cave walls were the canvas of choice. Since then drawings and artistic illustrations have been ever dear to our hearts, and those who have been able to draw for the purpose of recording events and later on for artistic value have always been held in high esteem. Drawings and to an extent writings have been done throughout the ages with a number of different materials such as paints and inks made from crushed minerals, charcoal, ashes, dirt and slate, but all had their pit falls. Graphite, the material used in pencils today, had been used in drawings since as early as 4BC when it used as one of the minerals involved in creating paint, and evidence suggests that it was also used by the Aztecs as markers several hundred years before its use became widespread. At some point in the 1500’s an enormous graphite deposit was discovered in the north of England, in Cumbria, and the natural deposit was used by the locals for mundane purposes, such as marking their animals, but it did not take long for others to hear about it and start mining it more seriously. Despite it once being a scarce and valued resource, the pure graphite discovered was in such abundance that Elizabeth I had no problem with using it in the production of military hardware, such as cannonballs. While they were willing to use it to suit their purposes, at the time it was not realised that what they had discovered was in fact graphite, which had not been named yet. They thought it was lead. Because of the way it was used to mark animals when the deposit was first discovered people knew the material would make a good tool for writing and drawing. It was due to this that in 1789 graphite actually got its name, which comes from the Ancient Greek word graphein meaning to write or draw. 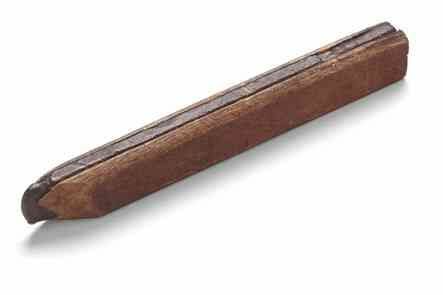 In 1795 what we would now recognise as a modern pencil was created when a French scientist and military officer encased sticks of graphite and clay in a wooden case. The officer Nicholas-Jacques Conte received his patent for his creation the pincel in the late 18th century, but he was not the first person to actually create a writing tool which consisted of a piece of lead encased in another material. When the deposit was initially discovered in England the locals would wrap it up in sheep’s wool to avoid marking their hands or damaging the sticks and graphite was first sandwiched between wood in the 1560’s by Simonio and Lyndiana Bernacotti, in Italy. 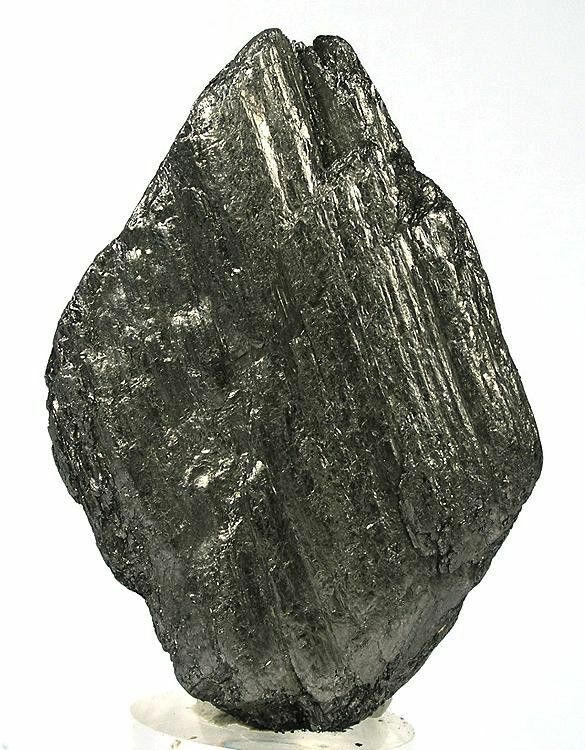 Going back to an earlier point, when the graphite was discovered the English thought they had unearthed a lead deposit, a misunderstanding caused because lead and graphite look uncannily similar in their natural form. It is because of this prevailing thought that the pencil was known as the lead pencil, a name that has endured until today. The English were not the only ones to make this mistake and in Arabic, Gaelic and German the word for pencils all mean Lead Pen. Nowadays pencils are still made in a very similar manner to the way Conte made them, a mixture of graphite and clay crushed into a powder, mixed with water, shaped and then heated in a kiln. The mixture is then dipped in oil or wax to help create a more fluid writing motion when the pencil is eventually put to paper.At no point however has lead ever been used as the writing material in pencils, but lead based paint was used until the middle of the 1900’s as the pencils outer coating. This would have caused serious health issues if the pencil was ever chewed on or sucked, as bits of lead would be able taken into your body and absorbed. Inaccurate reports from the media did not help to stem the belief that the lead was in the coating not the pencils, and only served to reinforce the incorrect stereotype. The word Pencil is partially derived from the Latin word Pencillus, which means ‘little tail’. Conte was ordered to find an alternative to graphite, as the French could not rely on foreign imports from England. Fortunately clay and powdered graphite were accessible in France. Conte was also the person who introduced the letter and number system to indicate the ‘Hardness’ and ‘Blackness’ of the pencil. The ratio of graphite to clay influences the pencils strength, the more clay the harder. Pencils were used in aeroplanes before the ballpoint pen was invented, because fountain pens leak ink at high altitudes. Click here for more details. Pencils were never used in space by the Russians or anyone else. Using them would risk having shards or shavings of graphite and clay floating around, potentially causing damage.